New and emerging technologies has shown the ability to address the challenge and unleash the opportunity, providing a platform for near real—time insights based on natural language queries that make data more useful for more people. The immense amount of data collected, sorted and analyzed in the cloud delivers both aggregate knowledge and individualized insights, enabling organizations to identify macro trends and micro preferences quickly. As a result, machines can make human interactions more meaningful and productive. Big data presents huge opportunities that result from better insights from bigger data sets. However, regardless of what technology is used to process it, being able to identify useful versus unhelpful data presents its own challenges. Analytical technologies can provide help in shifting through massive volumes of data to decide what is relevant and what is not. Data Analytics can layer information and context to help people makes sense of what they see that can lead to better decisions and faster actions. Taking full advantage of cloud technologies and applications requires an organization to keep pace with rapid-fire evolution in IT capabilities. Agility and flexibility are paramount as organization seek different insights from collected data. Flexibility encompasses the scale for the analytics, the type of data system can handle and the frameworks used to process data; for example, is the output meant for humans or machines. One-size fits all versus customized approached by business line. 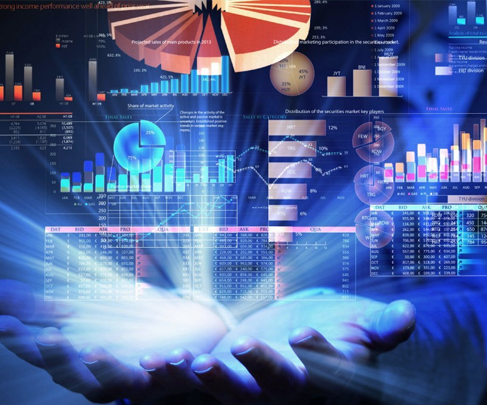 Some areas of the business-finance, procurement, production-may depend on well-defined and organized data sets to ensure consistently and accurately. Others-marketing, product development, recruiting and Human Resources-maybe looking of a more dynamic approach. With these consideration, organizations should be able to understand, rationalize and plan an analytics data platform that can meet the ongoing needs of the business while also seeing the state for innovation, growth, improved performance and increased engagement.